I spent the weekend luckily camping at Nethergong with family and friends as part of my eldest daughter's celebration of her 16th Birthday. Thankfully, the sun was shining for most of the time and I was able to spend some time having a wander around the site looking for dragonflies and damselflies. As we sat outside the tent on both days, plenty of Migrant Hawkers kept us company as they flew over the tent in small swarms and the odd Southern Hawker flew by. 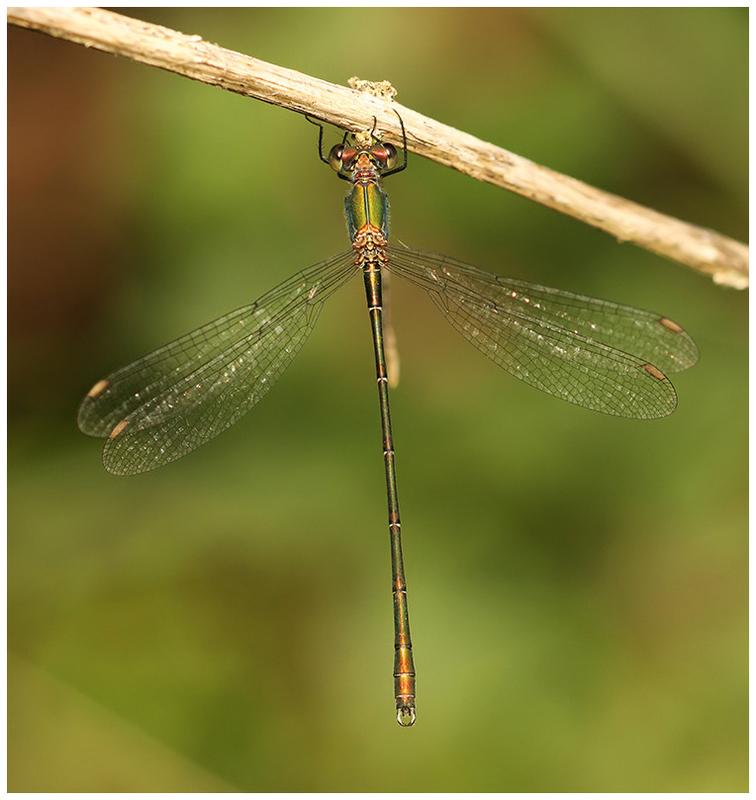 With some warmer sunshine mid morning today, I had an hour having a walk around a few areas and managed to find c35 Willow Emerald Damselflies. I suspect if I had checked a few more areas, then I would have probably seen a few more. 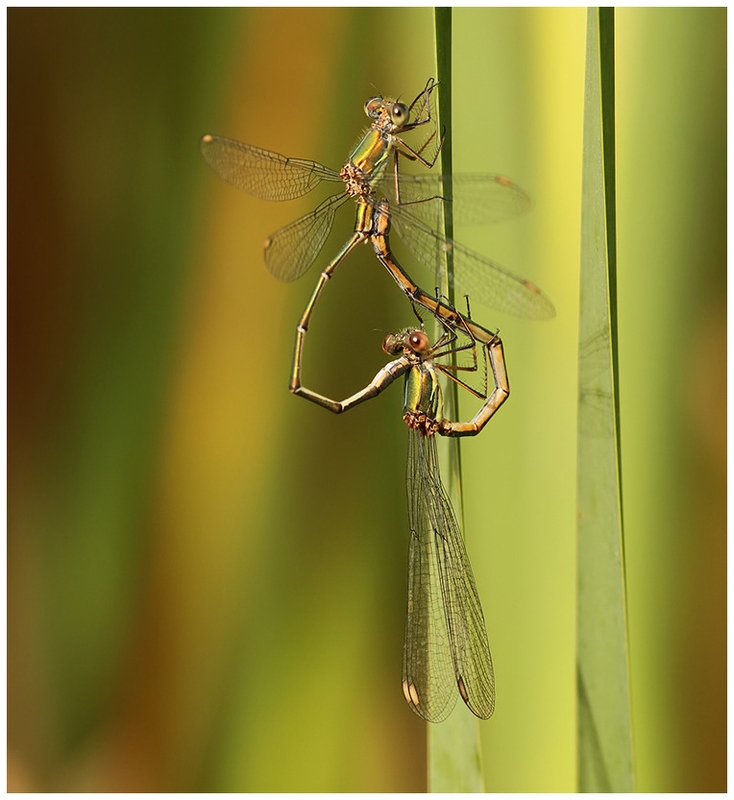 I found a few individuals posing nicely for the camera which I couldn't resist and whilst watching a few Migrant Hawkers a while later, I could see a mating pair of Willow Emerald Damselflies on the edge of the reeds. Whilst I have seen this on a number of occasions, I don't have that many photos as they can be very hard to approach and often fly away. Thankfully this time, I was able to move in slowly and take some pleasing images before they moved off in tandem. 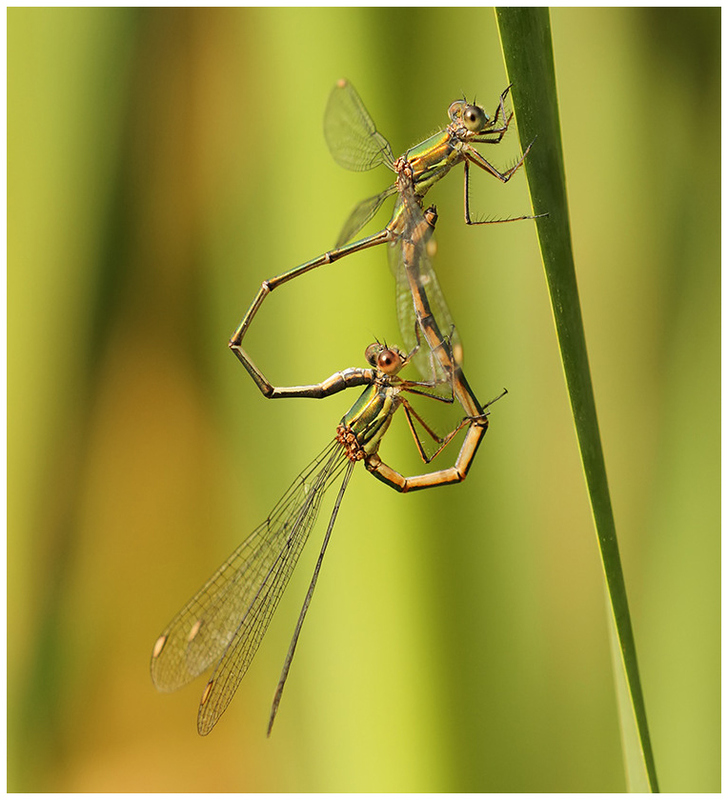 As I scanned the reeds, I could see a few more in tandem and watched one pair ovipositing into some Willow over a large pool which due to the hot summer, has no water in it at all. I can only assume they know what they are doing and are hopeful that the pool will fill with water during the winter period. I'm hoping over the next few weekends to make a few more visits to enjoy the rest of the season with one of my favourite species. Common Darters are starting to become more numerous of late so a few sessions no doubt to capture these autumn dragonflies. 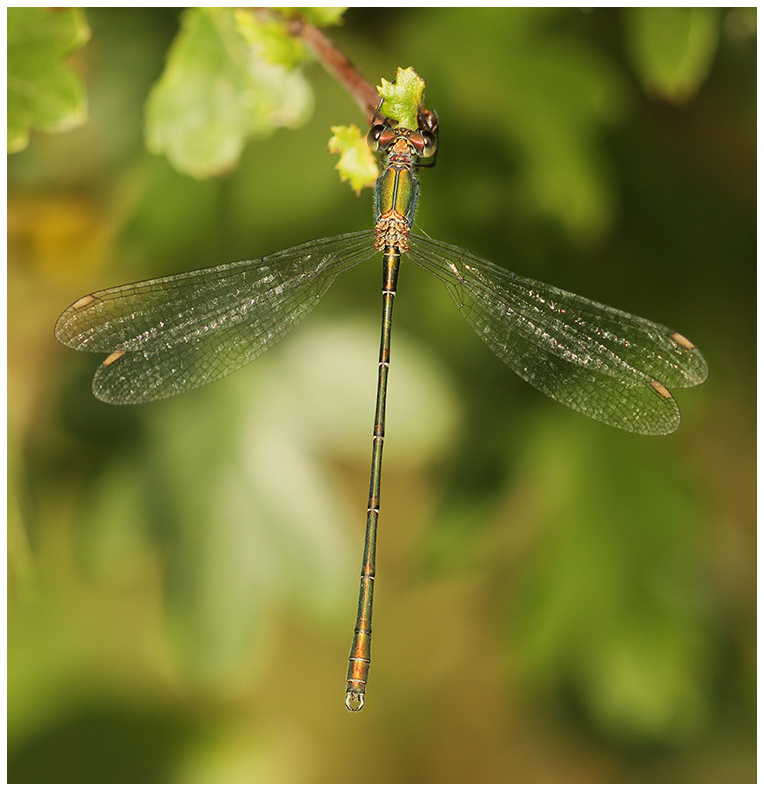 What a winner, Marc on Willow Emerald Damselfly. Beautiful images. Many thanks Bob. 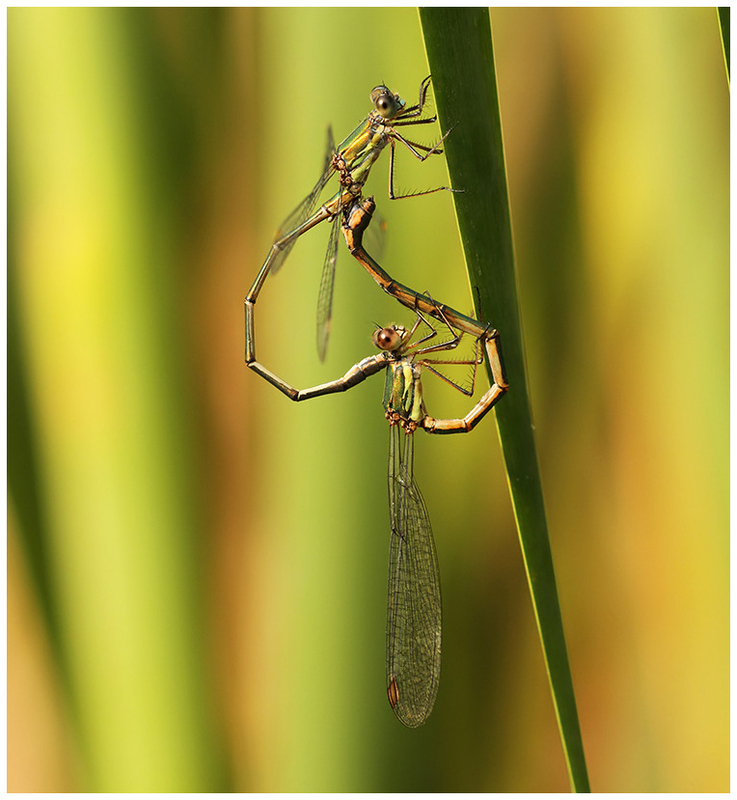 Pleased to have got some half decent mating shots at last with some nice background colours. Many thanks Mike. Hopefully the camera is not finished this season yet! Many thanks. Nice to capture them in some nice light. Always a challenge but well worth it. You certainly chose a great place for the celebrations, Marc. Delighted that you managed to find time to capture these little beauties so perfectly. Many thanks Richard. Much appreciated. It wasn't even my idea to go there but I wasn't going to complain. Normally something for the camera if you have a good look around.